Glass Packaging Testing & Laboratory Testing by Decotech Inc.
Decotech offers full-service glass decoration laboratory testing capabilities, on-site, to confidently deliver the highest-quality glass decorating solutions in the cosmetics, perfume, liquor, tabletop glassware and candle industries. We are a Certified Product Testing Lab for many of our clients and our results are considered valid for client record keeping and approval purposes. Beyond lab testing, the highly skilled members of our Quality, Process Control and Production teams are also equipped and trained to perform all glass decoration quality tests online. At Decotech, we follow industry-standard lab testing practices to test our glass packaging and bottle decoration. We also have the ability to incorporate client-specific quality requirements in order to meet their specifications. Because we have on-site lab testing facilities, we have the flexibility to perform clients’ unique glass decoration tests, and once the testing process is complete, we provide required documentation to any client that may request it. We make it our goal to ensure that every glass bottle or container that leaves our facility is safe for both the consumer and the environment. Whether you request it or not, your glass bottle or container will go through vigorous glass packaging testing to pass the Decotech standard, prior to shipment. 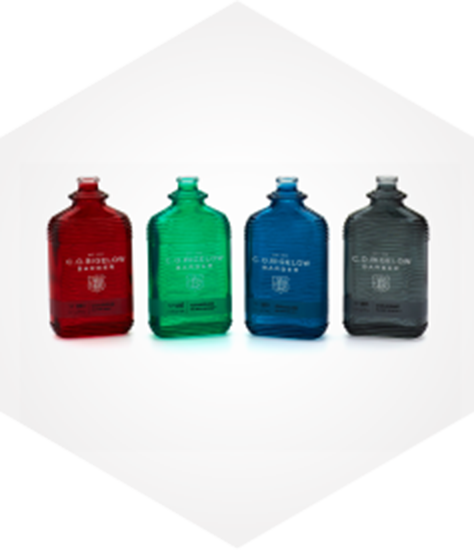 Decoration Adhesion Testing: This testing method helps ensure that our glass decoration will remain properly adhered to the glass bottle or container to which it has been applied. There are a variety of recognized methods that we use to determine how well the decoration has bonded to the packaging. Crosshatch Resistance Testing: This testing method allows us to test how well the applied ink, paint or other surface decoration adheres to the glass container. A crosshatch pattern is cut into the decoration on the glass and then tested with aggressive tape to ensure the paint will not easily peel off the glass packaging. Product Resistance Testing: These tests are designed to confirm that the decoration on the glass surface can withstand the perfume, cream or other product that will be contained inside the decorated glass bottle. The last thing you want is for ink or paint to come off in a customer’s hand while using the product. We employ several different testing methods to ensure our decoration will withstand the product. Plaque Adhesion Testing: The bonding strength of the items we glue onto glass bottles must pass very stringent pull-force testing. Decotech utilizes unforgiving pass/fail methods to ensure the bonding strength of every type of adhesive that we employ. Vibration/Ship Testing: These tests are performed to confirm that your product will withstand any movement or vibration during travel. We also use this testing method early, in the development process, to assist our clients in selecting the best packaging for the transportation of the glass bottles once they have been decorated. Label Compatibility Testing: Labels are a surface decoration too and they must pass product resistance testing the same way other types of glass decorations do. These tests are slightly different than the Product Resistance Testing noted above, but the purpose of the tests are the same. Client and third-party testing labs are often backed up with too much work and not enough time. With speed-to-market and shortened lead-times becoming increasingly important, a fast lab testing turnaround of your decorated glass bottles makes a big difference. Having an on-site certified lab allows Decotech to perform lab testing immediately upon client approval of the decoration during the sample development process. Our clients get their glass decoration lab test results back in days rather than weeks. Many clients prefer not to expend the time, money, fuel and manpower to ship their decorated glass products to somewhere else that will perform the exact same tests that Decotech will perform and document for them. Clients who take advantage of Decotech’s lab testing services for decorated glass bottles benefit from the time and cost savings of not having to mail heavy glass all over the map. The convenience of an on-site lab testing service also allows for a shortened response time to product development and marketing groups that need information quickly. Delays at client and third-party testing labs are avoided altogether. Save time. Save money. Save fuel. Save the environment. Decotech is dedicated to protecting the environment and members of our community. As a Zero-Waste-to-Landfill company we take seriously any effort, big or small, that will reduce our impact on the environment. 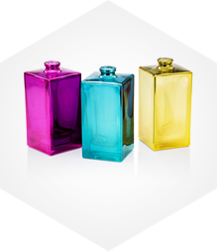 We encourage our clients to avoid unnecessary transportation of your decorated glass bottles for a service that can be effectively performed at Decotech. By utilizing Decotech’s lab testing services, our clients ensure that the tests performed in the lab are the same tests being performed on the production floor. Our lab testing services help us to ensure that each and every decorated glass product that we create meets our own high standard of quality. We never sacrifice service or quality to cut costs of production or testing.